It seems that the 2016/17 season will be Gloucester’s last with the services of Greig Laidlaw, with the Scottish captain opting to move to the French Top 14 league instead. Having arrived from Edinburgh in 2014, Laidlaw quickly established himself as a force for the Gloucester side, with the Red and Whites benefitting from his services at scrum-half, and occasionally fly-half. Whilst his pace has dropped in recent years (he is clocking on for 31 years old) his attitude, temperament, and willingness to give his all for the team will be sorely missed, and will be hard to replace. Whilst we’ve been linked with a few scrum-halves since the statement came out, there are few in the game who can match his reading of the game, with his experience and having been there, and seen it all before, helping him to become one of the World’s best in that position. Fans hoping to watch him in the flesh will have the choice of either heading across to France, or buying up Scotland international tickets via this link. His contract was due to expire at the end of the season, so Gloucester will not be able to get any kind of transfer fee for him as he moves on to Clermont, following in the footsteps of the likes of Wilkinson and co, who were all tempted at the chance to make one last big payday in France before hanging up their boots. 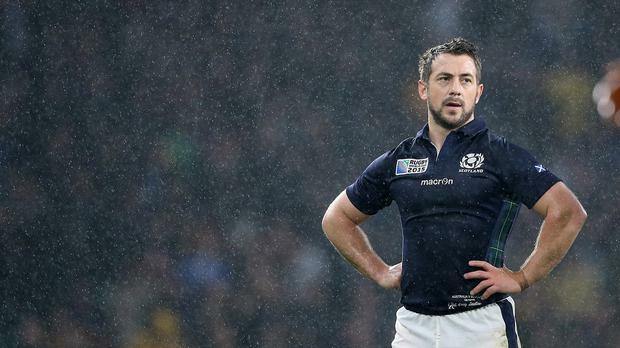 Laidlaw insisted that the opportunity was simply too good to miss – “At this stage of my career, the offer to test myself and develop my game even further in a different environment was just too good to turn down,” he said. Clermont are one of the best teams in France, having topped the league table and only narrowly missed out on the whole Championship trophy because of a narrow loss in the play-off final. He will continue to captain Scotland, although it is believed that playing in France will complicate his selection.